I’m continually amazed at what a fresh coat of paint can do. It can breathe new life into almost anything. Paint has remodeling power when you use it to emphasize a room’s best features or play down the flaws. It is one of the most economical upgrades for your home and can give it a whole new appeal. It’s cheap, relatively easy and it’s an instant gratification upgrade! Handprints or Paw prints on the walls – As the saying goes: “a messy house is the sign of an awesome life!” (Yeah, that isn’t the saying at all, but I have taken some liberties!) Life is messy, but dingy walls are an easy fix! Horrid Colors- the previous owners painted the walls tangerine? And your furniture is purple? It’s definitely time for change! The Cave Effect – Room colors are so dark that every room looks like a cave. Boredom –Yes, this is a legit reason! Tastes change, change them with paint. Luckily, paint isn’t forever; so don’t be afraid to experiment. If you are looking for a spa-like Zen atmosphere (and especially if the home is going to be for sale soon), go neutral! Neutral doesn’t have to mean boring! You can still add personality; just keep it in the neutral family with crisp white trim. Light Grey is especially hot right now and gives a great base to match any décor. If grey or beige is too boring for you, add some color, but be sure to keep it muted so it doesn’t overwhelm the space. Light blue, sea foam green and even purple can be very serene colors if they are muted enough to not completely take over. Go to your local hardware store and get a few paper swatches in the tones you are considering. Take them home and tape them to the wall, that way you can see how the colors look in the light and at different times of day in your home. If you still have trouble choosing the perfect shade, narrow it down to your top few favorites and buy samples to paint real life “swatches” on the wall. Paint is not a lifetime investment, but it’s also not something you want to be doing every year either. A little time and a few extra bucks spent to make sure you pick the right shade are well worth it. FLAT PAINT – Flat paint is common for use on ceilings. Flat paint sheen will also help to hide/diminish flaws and is the cheapest paint available. However, flat paint cannot be wiped clean without leaving marks, so I would not use it on walls–especially in bathrooms, kitchens and other high traffic areas; or if you have kids or pets. Never paint walls in a flat sheen in a rent house, they are too easy to scuff and dirty up. SATIN FINISH – Satin is the middleman between Flat and Gloss. It is more durable than flat paint (more easily wiped) but not as easily wipe-able as Semi-Gloss or High Gloss. SEMI-GLOSS – I recommend most walls painted in semi-gloss. Some may disagree with me on this, but it is easily wiped clean and leaves a nice finish that will last much longer than a flat paint. HIGH GLOSS – There is nothing sexier (yes, sexier! ha!) than high gloss crisp white painted trim! I would suggest reserving the high gloss for the woodwork and trim only, if you paint on the walls it will reflect so much light that it will highlight every imperfection on a wall. 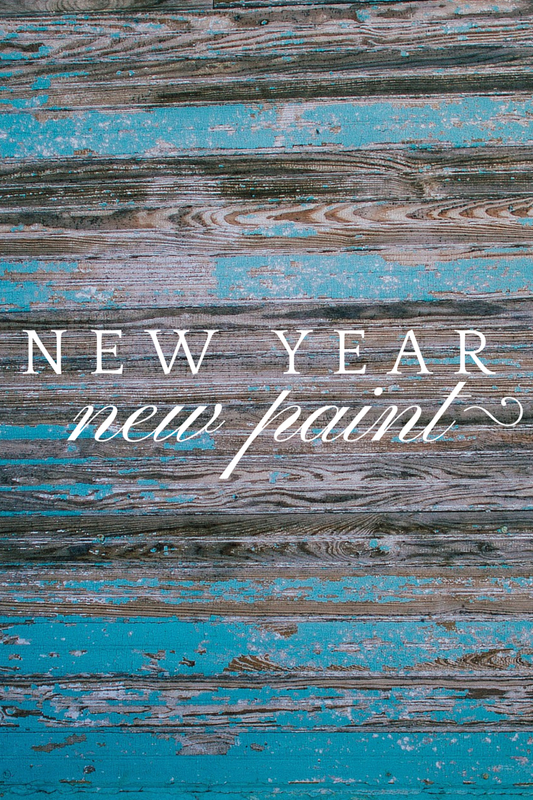 The New Year is a perfect time to start a painting project. Nothing gives a nice crisp and clean feeling like new paint. A fresh coat of paint is great whether you are prepping to sell or you just want to update your home. 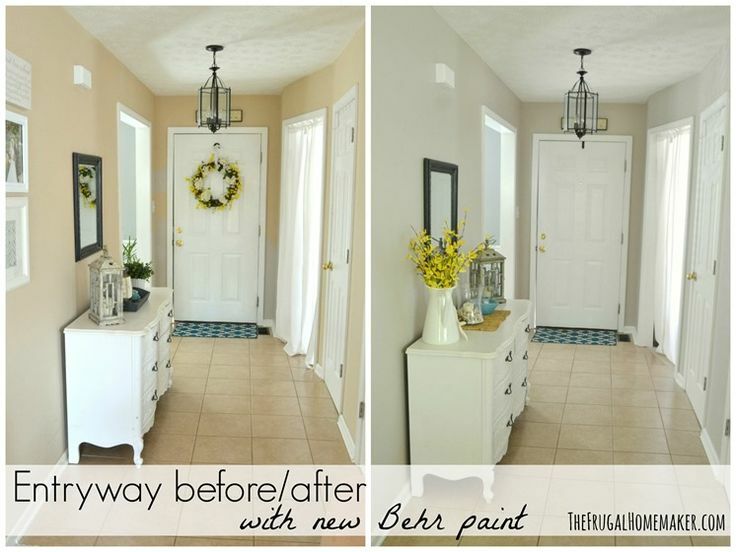 I love seeing a good “before and after” on a paint project because it is always a high impact transformation for little money. The only question left is, what will be your new shade for 2015? Lisa E. Priest loves looking at new colors in the paint department and is an East Texas Area REALTOR® / Real Estate Agent with Picket Fence Realty, Inc.
7 things to repaint not replaceare you ready to sell your home in palestineneutral paintpaint colorsPaint it!